For the first time, a double-blind clinical trial has shown that computer-based training improves the cognitive functions of the 50-plus crowd. Against conventional wisdom, the computer training in MindFit(tm) cognitive skill assessment and training software, created by CogniFit, Ltd. http://www.cognifit.com), was found to improve short-term memory, spatial relations and attention focus--all skills used in driving and other daily activities that maintain our independence as we age. The trial was conducted at the Tel-Aviv Sourasky Medical Center of Tel-Aviv University in Israel, where researchers are taking a leading role in the study of age-related disorders. During the two-year clinical trial, doctors conducted a prospective, randomized, double-blind study with active comparators of 121 self-referred volunteer participants age 50 and older. Each study participant was randomly assigned to spend 30 minutes, three times a week during the course of three months at home, using either MindFit or sophisticated computer games. 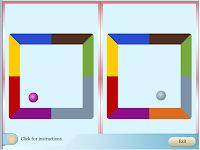 While all study participants benefited from the use of computer games, MindFit users experienced greater improvement in the cognitive domains of spatial short term memory, visuo-spatial learning and focused attention. Additionally, MindFit users in the study with lower baseline cognitive performance gained more than those with normal cognition, showing the potential therapeutic effect of home-based computer training software in those already suffering the effects of aging or more serious diseases. "These research findings show unequivocally that MindFit, which requires no previous computer experience of users, keeps minds sharper than other computer games and software can," said Prof. Shlomo Breznitz, Ph.D., founder and president of CogniFit. "In fact, the same cognitive domains that MindFit keeps sharp are also central in most daily activities-including driving-that enable aging independently." Breznitz continued, "These findings support CogniFit's belief that if you exercise your brain just as you do your muscles, you can build the speed and accuracy of your mental functions, significantly. 'Working out' with MindFit three times a week from the comfort of your home will yield similar results for your brain as exercising at the gym with that same frequency does for your muscles." "We are additionally encouraged by the implications of our findings for those already below baseline in cognitive performance," said Nir Giladi, M.D., principal investigator, senior neurologist for the Department of Neurology for Tel-Aviv University's Tel-Aviv Sourasky Medical Center and faculty member in Tel-Aviv University's Sackler School of Medicine. "In the future, we may research MindFit's effect on Alzheimer's disease and forms of dementia." 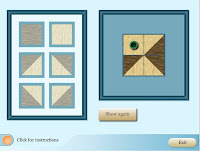 MindFit software helps to assess and build overall cognitive skills for baby boomers, seniors and people of all ages. In other research studies, MindFit has helped users to improve their short-term memory by 18 percent. The comprehensive cognitive training program assesses, trains and enhances cognitive skills--including memory, focus, learning and concentration and safeguards overall cognitive vitality, an overall concept patented by CogniFit. After an initial assessment session, users are encouraged to train with the software on their home PCs three times a week for 20 minutes a day. Then, MindFit provides fun, individualized training to match users' unique cognitive skill sets, changing exercises and levels to suit each individual's unique needs. No other cognitive assessment or training software product on the market has that personally tailoring technology.